Free wordPress blog installation Service will give you a WordPress install, configured and ready to run on your choice of hosting service. Experience has shown us that many people like the idea of a cheap, attractive and simple to use blogging platform but find the install and configuration process daunting. We follow WordPress best practices, especially in development and security to provide you at a price that you can afford with a top-notch service. 1. Free wordpress blog setup service: In order for us to provide this service, you must sign up for web hosting through our affiliate link, Webhostingpad. When you do this, we receive a commission, which enables us to fund our blog installation and setup service without having to charge you a penny. 3. 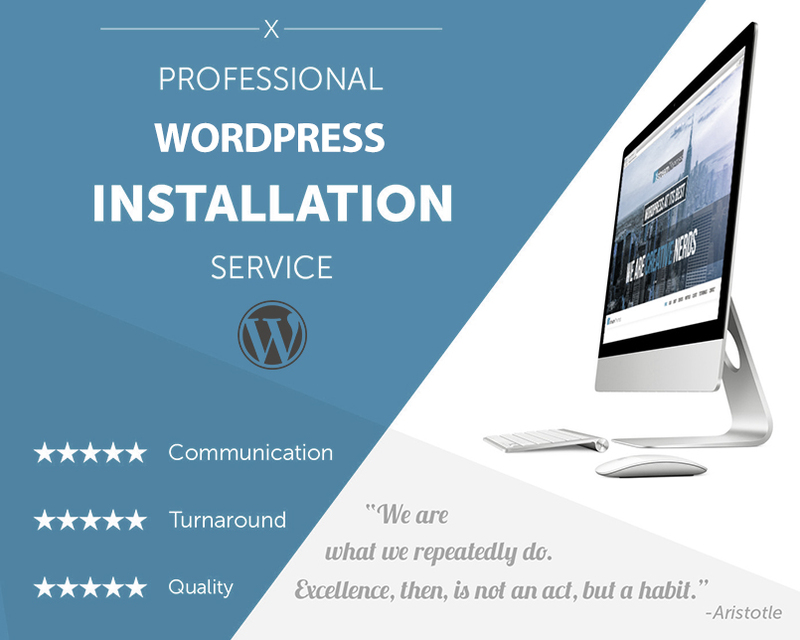 WordPress installation service $29: In order for us to provide this service, you can purchase domain and hosting anywhere you like, but we recommend for the first option. As well, you will get a gift of premium theme from our service: Generis Child Theme. These are best themes for earning from affiliate marketing. After signup with the hosting company, please contact with us! If everything is ready you will then get a PayPal payment request before I get started. We will install the most popular and the best plugins that will help you with a wide variety of features. We will install almost any free plugin like Contact Form 7, Social Media, Google Analytics, Yoast SEO Premium and more. Need a particular plugin installed? Let us know. We will work with you until your page is up to your liking. We have more than 10 years of experience in web design and development and more than five years creating custom WordPress solutions. With us, you get the quality you deserve!